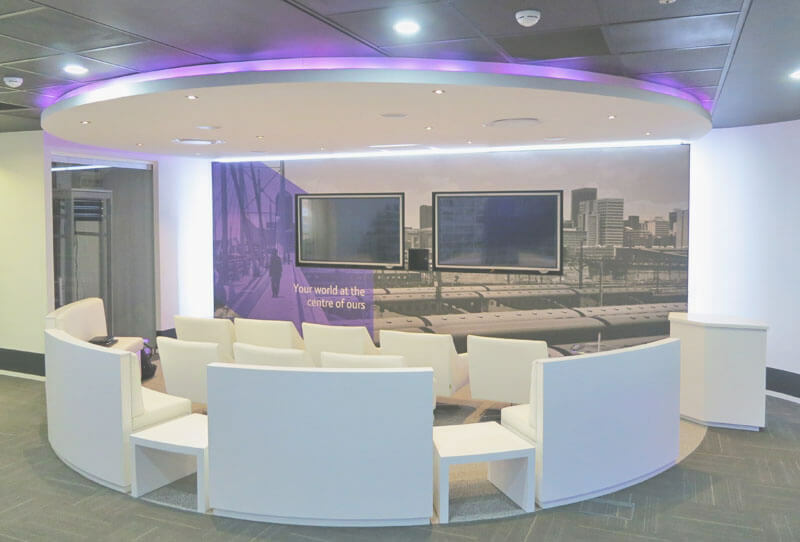 British Telecommunications, a major provider of multinational telecommunications, that serves more than 170 countries globally appointed FSG on a design and build basis, for their new Johannesburg global showcase project. The project’s ethos was to maintain and re-enforce their global branding standard, to achieve a level of continuity with their existing showcases around the globe. BT opted to use our local design capabilities in favor of their normal UK incumbents. The challenge that FSG had, was to maintain business continuity throughout the construction of the showcase project and refurbishments. 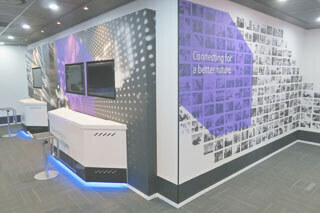 The BT showcase is situated in Woodmead North Office Park in Johannesburg. Off the back of the success of the showcase, we have since continued to work with BT and have undertaken numerous refurbishments projects within the Johannesburg market and we will soon add Durban and Cape Town to that list. FSG successfully delivered the project on time, within budget and to the acclaim of their global property team who refer to it as their global showcase standard. FSG managed the communication between the client, professional team and the main contractor, ensuring that everyone marched in step throughout the process to deliver a successful project.